Tomorrow is Mother's Day and I'm celebrating. 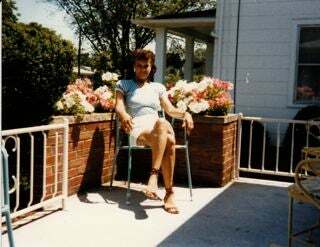 My primary mother, Joan Theresa Elder, lost her life to ovarian cancer in 1995. Her end was tough, but her life was full, vibrant, challenged, and a wonderful template for anyone in pursuit of humanity. I simply want to acknowledge the seeds my mother planted in the garden that is me. Tolerance, progressive thinking, self-definition, self-manifestation, choice, humility, the love of tropical fruits, a distaste for ignorance, the liberating power of education and travel to NYC, an interest in film and storytelling, and the necessity of laughter and letting go. Now I'm still trying to harvest some of these beauts, but the pursuit of humanity is a process. What type of seeds did your mom [or mother figure] plant?